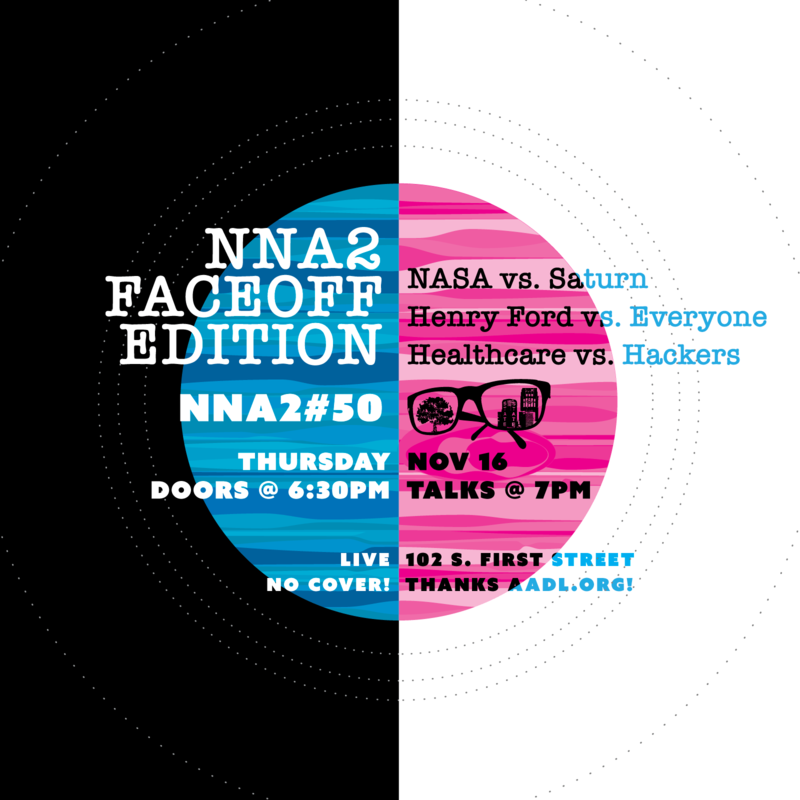 November 16 — NNA2 Faceoff Edition: NASA vs. Saturn, Henry Ford vs. Everyone, Healthcare vs. Hackers! It’s NNA2’s 50th! The traditional gift to celebrate a 50th anniversary is gold, so please bring lots of it. It’s also the last NNA2 of 2017, so don’t miss it! We have three great speakers – all talking about a different way to assert power. Diane Bouis will talk about breaking something in order to fix it, Eric Fitzpatrick will talk about the almighty gall of a civilization crashing a spacecraft into another planet – on purpose – and Rich Retyi and Brian Peters will tell the story of a man who rose to prominence by brute force. Grab a friend, buy a beer, and sit back and enjoy NNA2 #50! How much: $0, gee, thanks, AADL! Diane Bouis — Can’t hack it? Bring a friend! Everybody wants innovation. Lot’s of it. And ideally the type of disruptive innovation that changes the world and that the others haven’t thought of yet. But how do you come up with good ideas? How do people start companies? Hackathons are a fun way to bring together a diverse community of people solve tough problems together and have fun doing it. We’ll go through some innovations that have come by applying unrelated expertise and talk about what you can do to bring the hackathon ethos to problems you’d like to help find solutions to. About Diane: Diane is a nerdy kid turned scientist turned consultant. At age 14 she told people she’d cure cancer and AIDS and clearly didn’t. 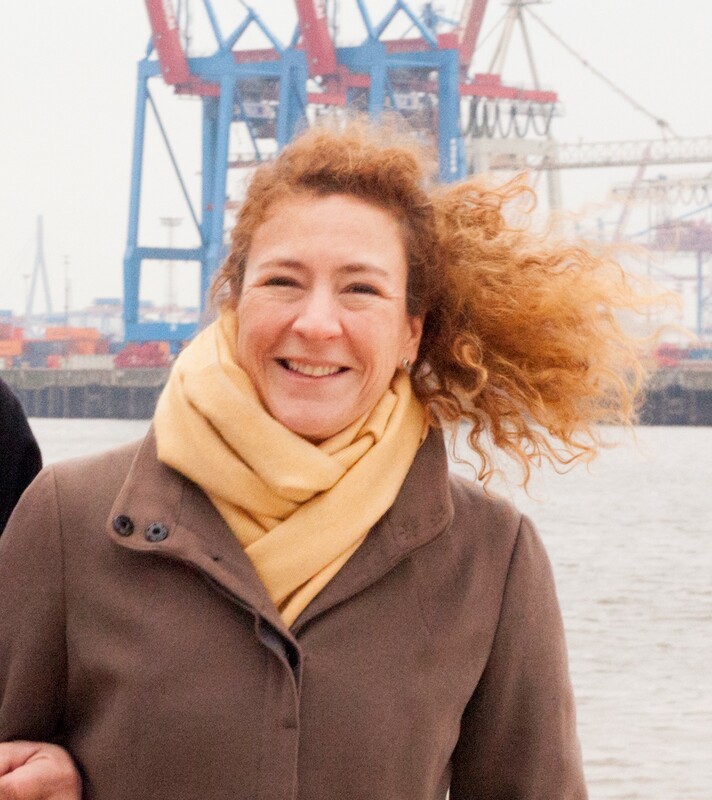 But along the way – through an academic career in oncology and cardiology- she learned that great progress it’s not just about being smart but about engaging and inspiring others. She works as an innovation consultant at the Inovo Group and Co-founded A2 Health Hacks, a non-profit running healthcare hackathons in SE Michigan. And no, she can’t code. Who would have guessed that a kid born to a poor family in Lower Town would one day rise in the ranks to stand at the right hand of the great Henry Ford, keeping assembly workers in line and firing pistols at pro-union demonstrators. Rough, tough and gruff Harry Bennett came within a hair of running the Ford Motor Company based on a resume as one of the greatest enforcers of all time. Hear his story and the story of the famed Bennett Castle, which still stands in Ann Arbor today. 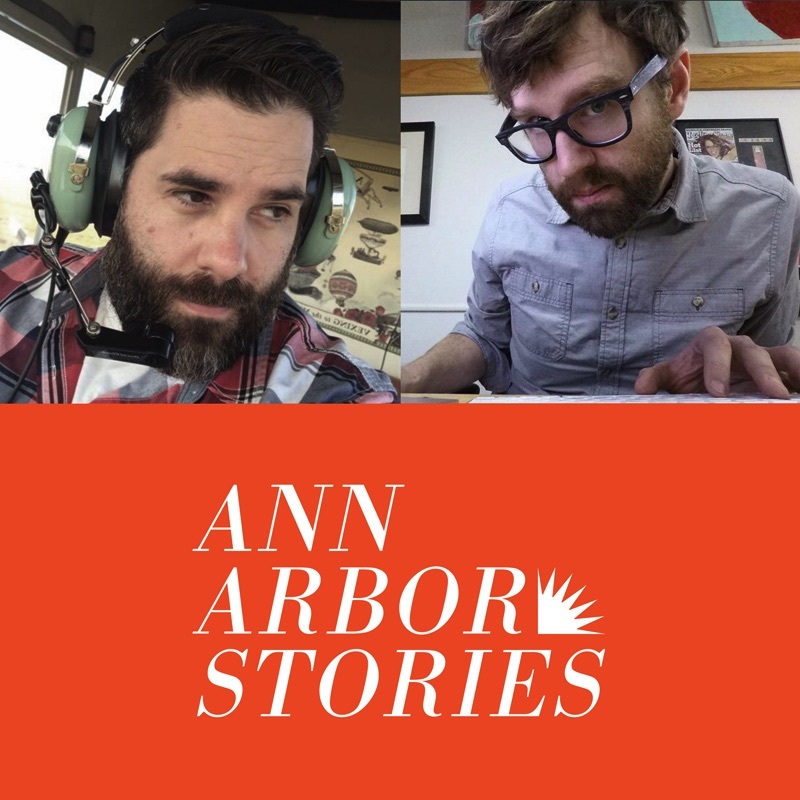 About Rich and Brian: The fathers of the smash hit sensation podcast Ann Arbor Stories make their second appearance at Nerd Nite. Brian is co-owner of local indie label, Quite Scientific, and an all-around master of everything, while Rich is the communications and marketing manager at the Ann Arbor District Library and author of The Book of Ann Arbor: An Extremely Serious History Book, available at Literati Bookstore or on Amazon. NASA recently crashed the Cassini space probe into Saturn. The probe contained about 90 pounds of a highly radioactive, non-naturally occurring substance: plutonium. We’d never do such a thing on our planet, so why did we do it to Saturn, especially when we have no idea if life forms of any sort may exist there? We’ll discuss the delicate environment of Saturn, the goals of the Cassini probe, and safer options for space exploration. 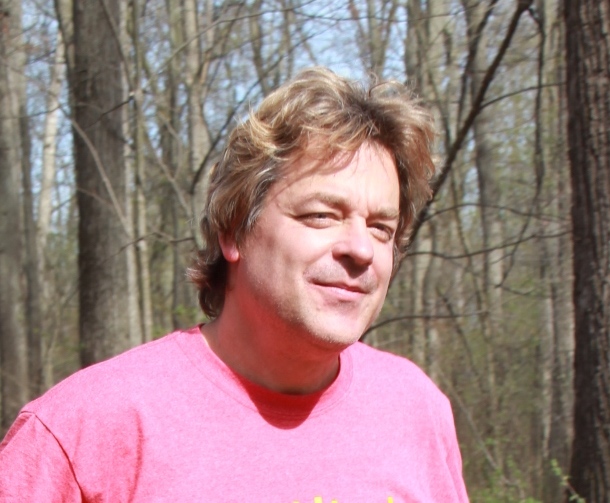 About Eric: Eric has spent 38 years studying the cosmos and has given astronomy lectures and instruction over those years. In addition to designing and building a telescope while he was in high school (which is still operational, btw), he is a strong advocate for dark skies and the importance of reducing light pollution.